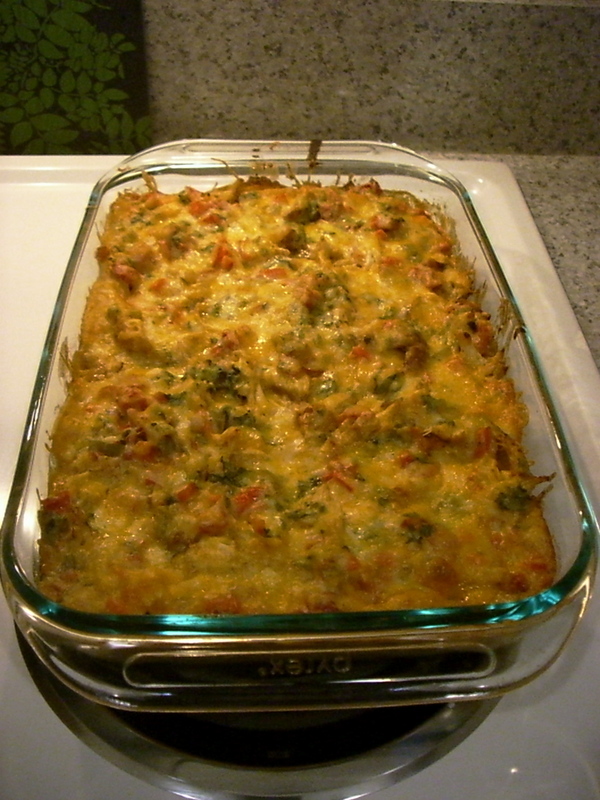 Growing up, King Ranch Chicken Casserole was in the usual family dinner rotation. And I hated it. Imagine a bratty kid throwing tantrums on the kitchen floor, because her mother is preparing a wholesome meal that includes green chiles and onion. Not only that, but the offending ingredients are sandwiched between layers of cheese and tortillas, making them impossible to pick out. Aren’t casseroles the worst enemy of picky eaters? In hindsight, my mother had the patience of a saint. 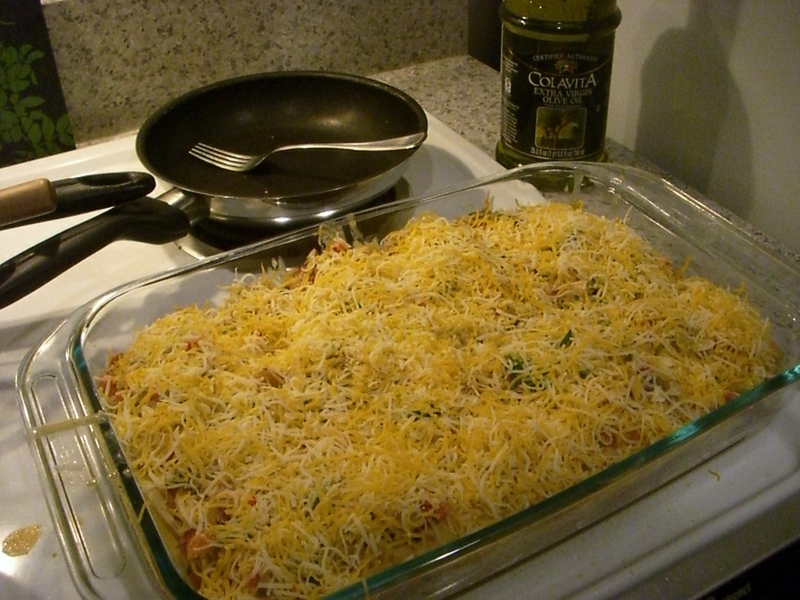 The King of Casseroles - basically, a giant enchilada - about to go into the oven. This casserole made regular appearances at Church of Christ potlucks, and the recipe was always tucked into family cookbooks – always including gloppy Campbell’s Cream of Mushroom Soup, Ro-Tel tomatoes, and canned green chiles. Dave and I whipped this up for dinner recently, using Homesick Texan’s recipe. She uses fresh vegetables and swaps the canned soup for her own sauce. To lighten the recipe, we used fat-free sour cream and low-fat cheese for the full fat versions. It all came together perfectly, and I’m happy to report my taste buds have evolved. Best topped with avocado, cilantro, and a dollop of sour cream. For the full recipe and a little history on King Ranch Chicken Casserole visit Homesick Texan. Happy eating!